Just a quick post to share with you the Jubilee cakes I've just finished decorating (it's 23:51 on Thursday night when I'm writing this). 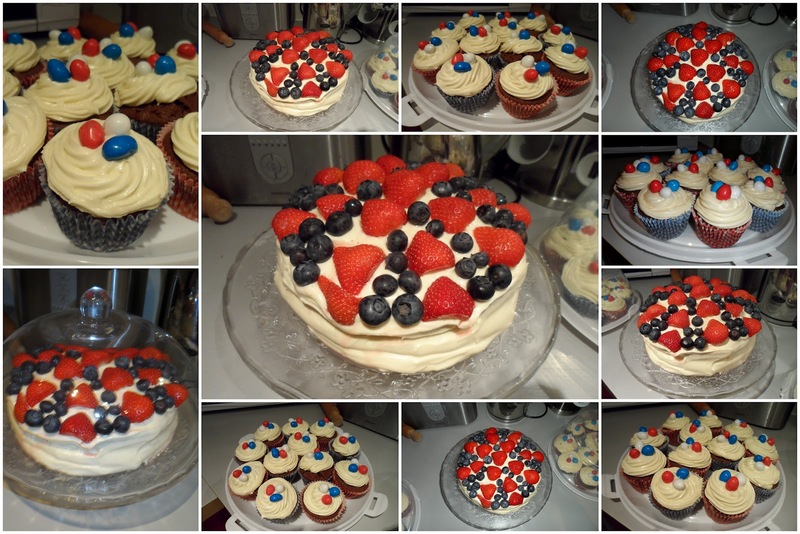 We're having a Jubilee celebration at work tomorrow, so I decided to get a bit creative in the kitchen as I do really like baking. Does the large cake look anything like a Union Jack to you? I must admit I struggled with it and a few blueberries were squashed in temper! I think I'll have to claim artistic licence on this one. they look so yummy, damn you diet! Ahhh, these look amazing and so yummy! Love that people are getting into the spirit of things, we might as well make the most of it! They were, I wish I had some left to eat now!